Before starting my healing practice and workshops, I worked during many years in international companies, including 10 years in Human Resources Management and in Consultancy. In parallel, since June 1993 and after a personal crisis, I started attending personal workshops and professional psychotherapy trainings in various schools, always with the same goal: to understand human beings in our wholeness and to remove obstacles from our life force, to help us connect and develop our creativity and to become Who we Are. From the start, this path felt home to me and, since then, it has been the main commitment and focus if my life. During all these years, within my own longing to heal myself and my quest for Oneness, my interest and my love for Human Beings and for our transformation and healing journey never stopped growing. I accompany groups and facilitate workshops since 2001, and I support people in their healing and awakening path in private sessions since 2003. 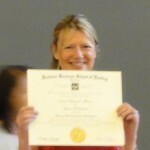 I am a Brennan Healing Science Practitioner®, having graduated from the famous Barbara Brennan School of Healing® Europe after 4 years’ training, including Energetic Anatomy & Physiology 1. 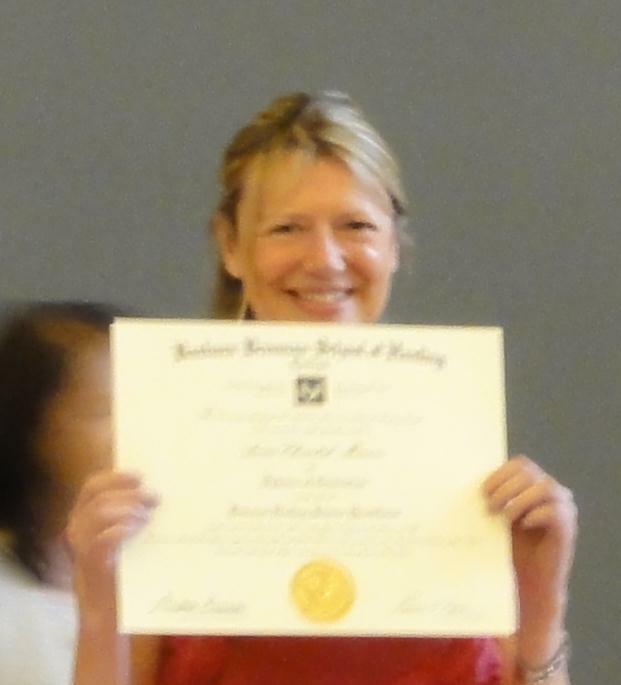 I am also a Graduate in Integrative Body Psychotherapy (IBP) in Belgium (4 years and also 3 years as a training assistant), and in Gestalt Counseling from IBG (2 years). I am trained in Analytical Psychotherapy (2 years) and in Person-Centered Counseling – Carl Rogers from PRH (6 years) and Art Therapy (1 year). I have also attended several Tantra workshops. I have integrated in my work many other techniques that I have learned and experienced in my on-going training since 1993, including 5 Rhythm Dance (Gabrielle Roth) that I have been practicing since 2005. I use sacred healing sounds and overtone to support and enhance the healing process. I was initiated to sacred songs by Jan Janssen and Jill Purce. My approach to healing and personal transformation is holistic, focusing on the client as a unique, complex, dynamic being of body, mind and spirit. I offer to serve as a facilitator in one’s self-initiated process of healing and awakening. On this beautiful path of love to self-responsibility for one’s life and Self-empowerment, I am here as a committed listener, mirror and partner to explore with you areas that influence your state of well-being. For this, I offer two therapeutic approaches: Body Psychotherapy and Hands-On Energy Healing that can be practiced separately or in a complementary way. In this work, I am mainly inspired by BHS® and the work of Dr. Barbara Brennan, Pathwork (Eva Pierrakos), Core Energetics (Dr. John Pierrakos), Bio-Energy, by IBP and the tools developed by Alexander Lowen and Wilhelm Reich, and the 5 Rhythms Dance. My practice is nourished from my life experiences and my errors, and from my long personal journey of transformation and inner and outer healing, of my deep spiritual awakening, letting go of many illusions and limiting beliefs, surrendering to what is, healing my heart and my Soul, deep into my physical body. It originated in a vague but deep and essential consciousness of the existence of an inner being waiting for me, inside of me. Bit by bit, slowly, process after process – from relationships and seeding – appeared a form, every day clearer, more alive, more unified. That form was mine, and with it came my passion for Being in Essence, for the healing of our wounds, for the restoration of the Self in its Wholeness and Oneness, of who we truly are, for our humanisation and our realisation. 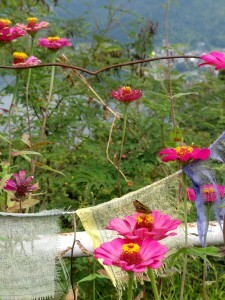 I am conscious that to make the world a better place first starts with my own healing path. What is precious to my heart is to bring the Divine Spirit into the matter and in all aspects of the physical reality. What I learned through all these years helped me re-member Who I Am and to align to my Life Purpose and to create and manifest it everyday, effortlessly and in pure pleasure. It completely transformed my life and my whole reality, inside and outside, with people and with the world. I am amazed by this journey and love accompanying people on this path. I look forward to meet you there.